A trivia-rich yet coherent long view of what energy is, what physical laws govern it and why we should be using it less and better. Lance Armstrong can burn as much energy as a handheld hair dryer, writes Eberhart (Chemistry/Colorado School of Mines; Why Things Break, 2003), whereas a brain will use about as much as a refrigerator bulb whether we’re thinking hard or barely sentient. That fact, he counsels genially, should not keep us from devoting much thought to how we humans are going to unpaint ourselves from the corner we’re in vis-à-vis fossil fuels. In a conceit that grows a little tiresome with repetition, Eberhart pitches a “thinking man’s energy diet” that involves a crash course in the laws of thermodynamics and the geology of petroleum, coal and other energy resources, all explicated clearly and even memorably. One well-put formulation, for instance, is Eberhart’s notion of “survival of the thermodynamically more efficient,” which works for humans as well as cheetahs, kudus and assorted other critters of the veldt. That done, he examines the rise of the oil industry, which, he reminds us, is only a century and a half old, and of the internal combustion engine, which may owe its worldwide dominance to a fateful decision made a century ago by none other than Winston Churchill. Today, as a consequence, the world’s people use nearly 80 million barrels of oil a day. Swiping at the Bush administration along the way, Eberhart argues in closing that in order to counteract the baleful effects of our addiction to irreplaceable fossil fuels, we “must regain a sense of confidence in our abilities to imagine and direct the future”—brainpower again, in other words, helped along by wind power, solar energy and the odd nuclear generating station put to work driving electric and not gas motors. 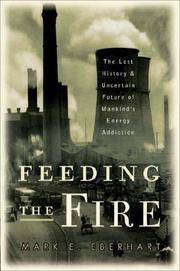 Nourishing food for thought, if less meaty than Vaclav Smil’s kindred, superior Energies (1998).